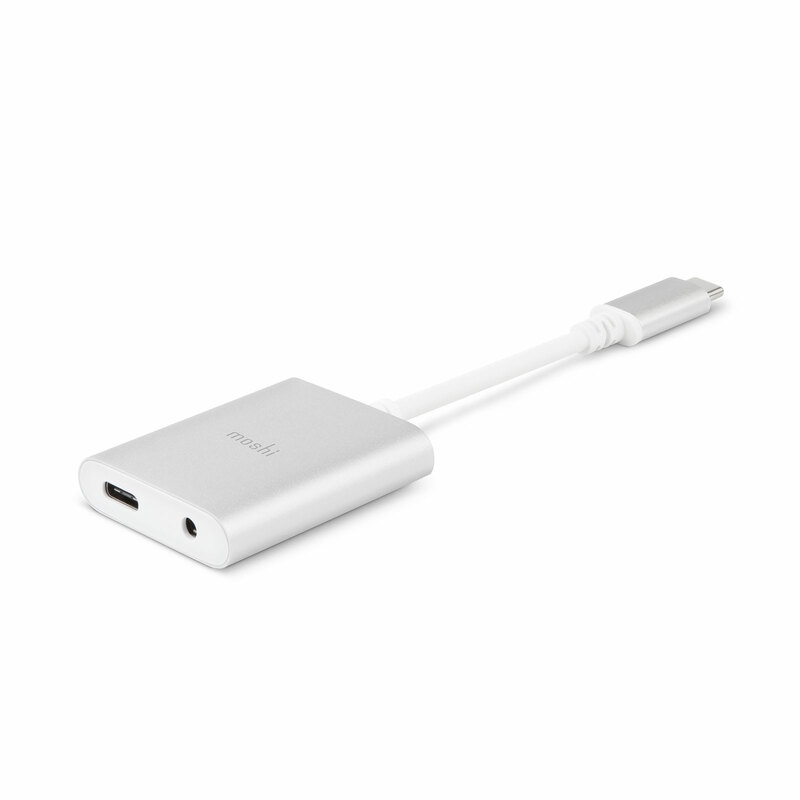 Newly updated for maximum compatibility across all USB-C devices, including the iPad Pro (USB-C). Listen to pristine, high-resolution audio using regular 3.5 mm headphones. 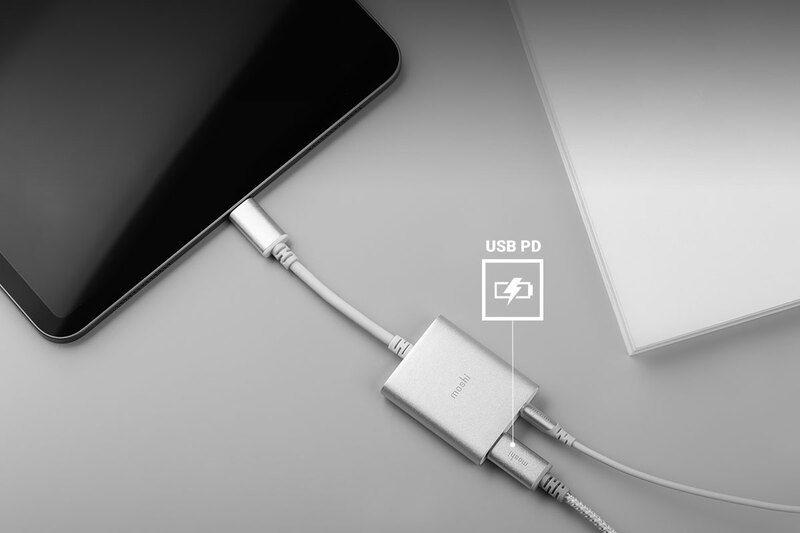 A USB-C pass-through port lets you charge your device at the same time. 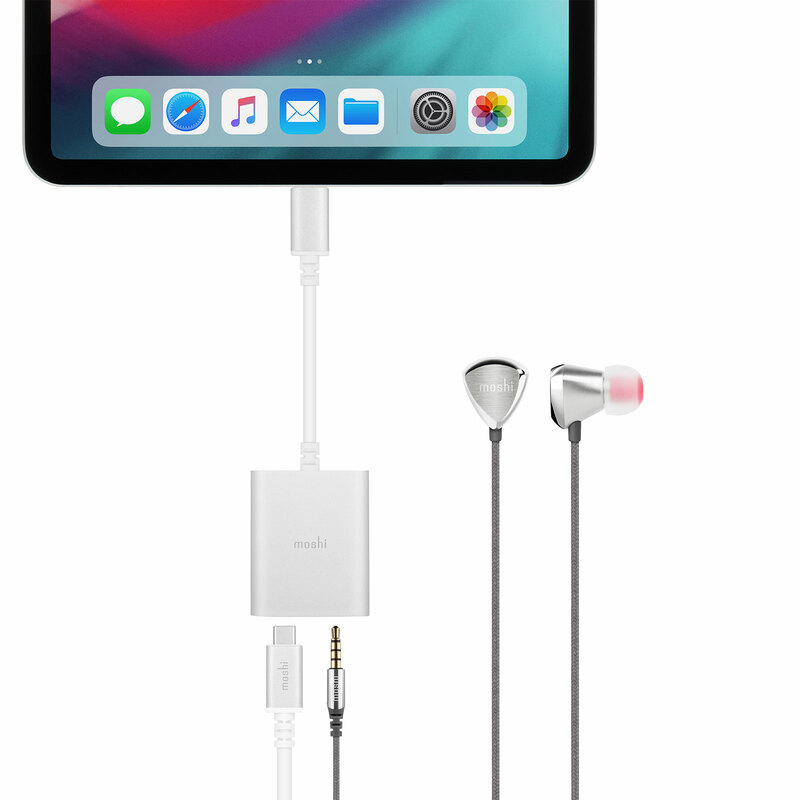 Use your favorite 3.5 mm headphones to listen to music on your USB-C device while you charge. Built-in digital-to-analog converter (DAC) outputs Hi-Fi quality music that is compatible with premium streaming services such as Tidal and Spotify Premium. 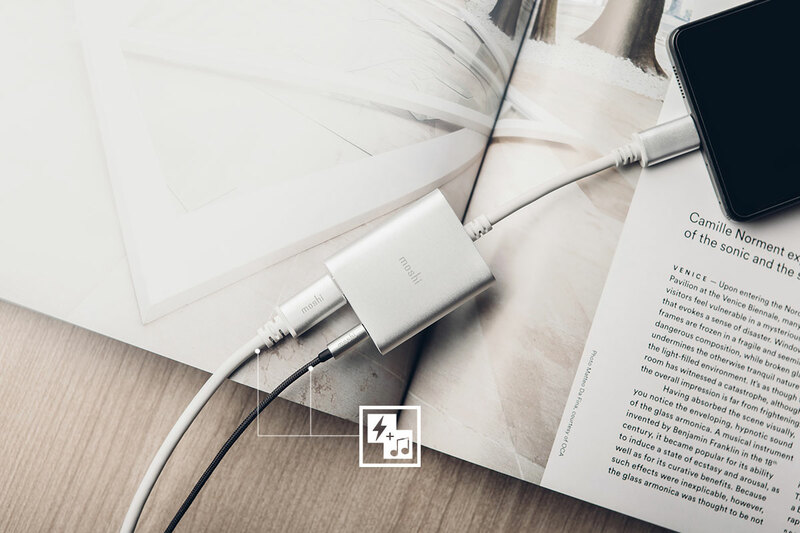 To fast charge your device pair our USB-C Digital Audio Adapter with Charging with a USB-C cable plugged into a USB-C wall charger. Crafted using anodized aluminum housings for added durability. 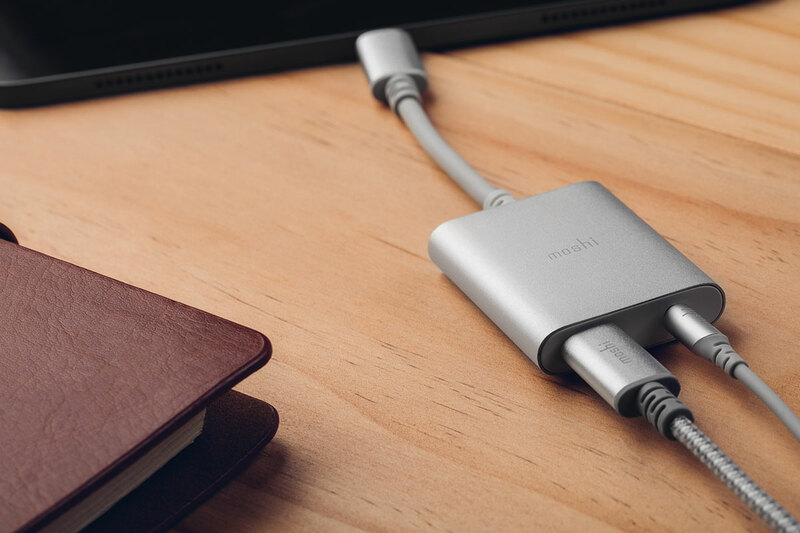 Moshi’s USB-C Digital Audio Adapter with Charging lets you listen to music from your device’s USB-C port using regular headphones, while charging your device at the same time. Enhance your audio with a built-in digital-to-analog converter (DAC) which outputs 24-bit/96 kHz audio signals to support high-resolution audio signals, ideal for audiophile libraries or premium streaming services like Spotify Tidal, Deezer, Onkyo and more. 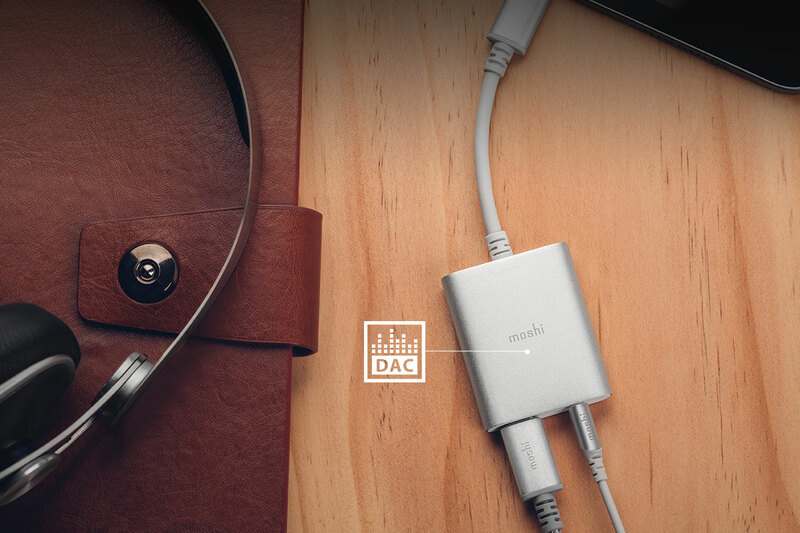 A Class G amplifier enhances the quality of your headphones for a more robust and immersive sound experience. Anodized aluminum housings and reinforced stress relief points add durability, while protocol pass-through lets you control your music on the go. 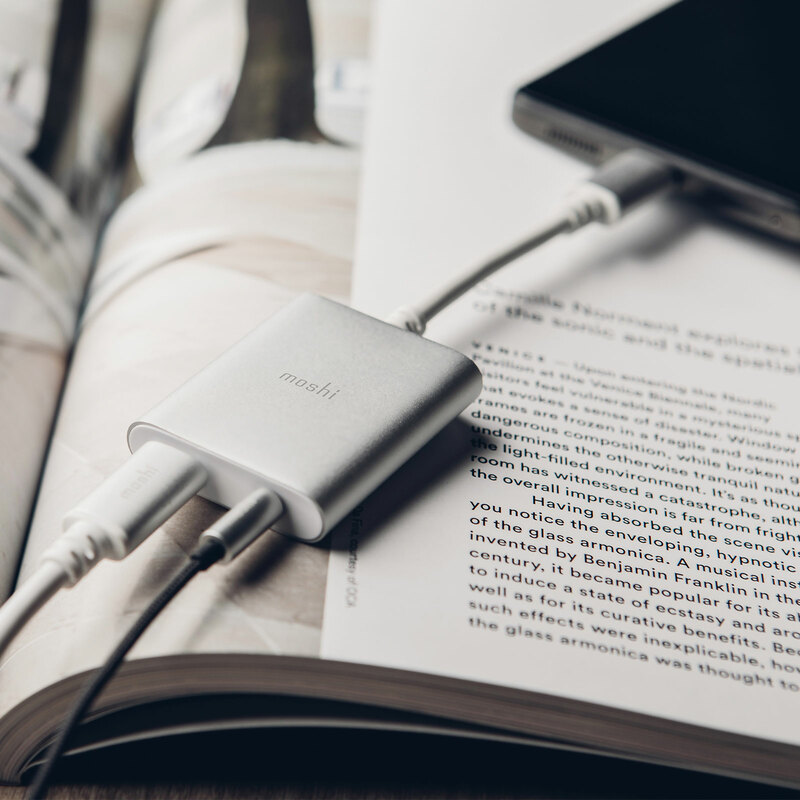 Pair this USB-C Digital Audio Adapter with Moshi’s Avanti on-ear headphones so you can listen to music the way it was meant to be heard. 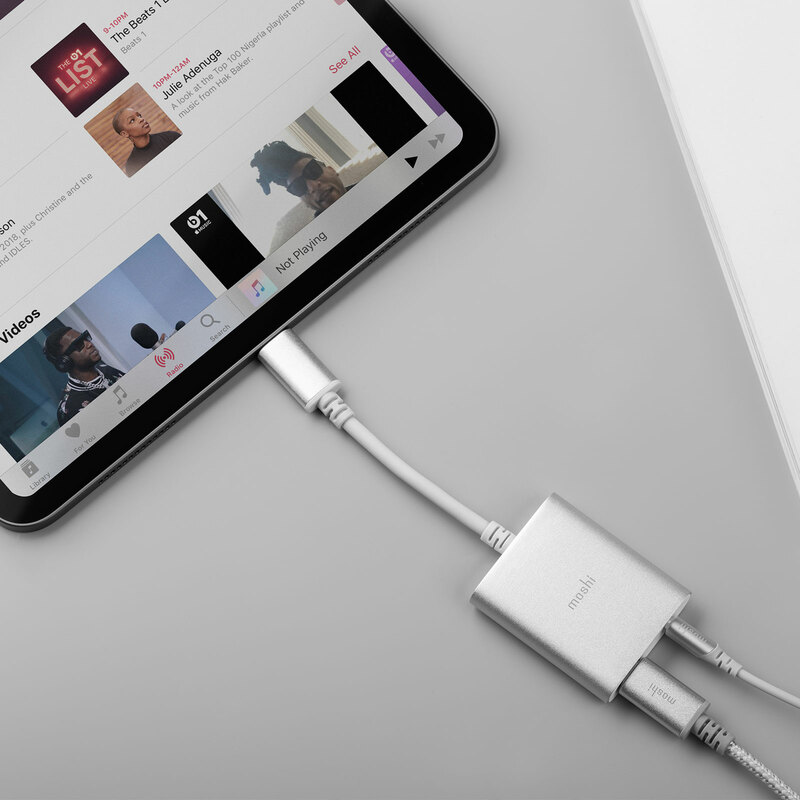 Listen music on your USB-C device using regular 3.5 mm headphones. 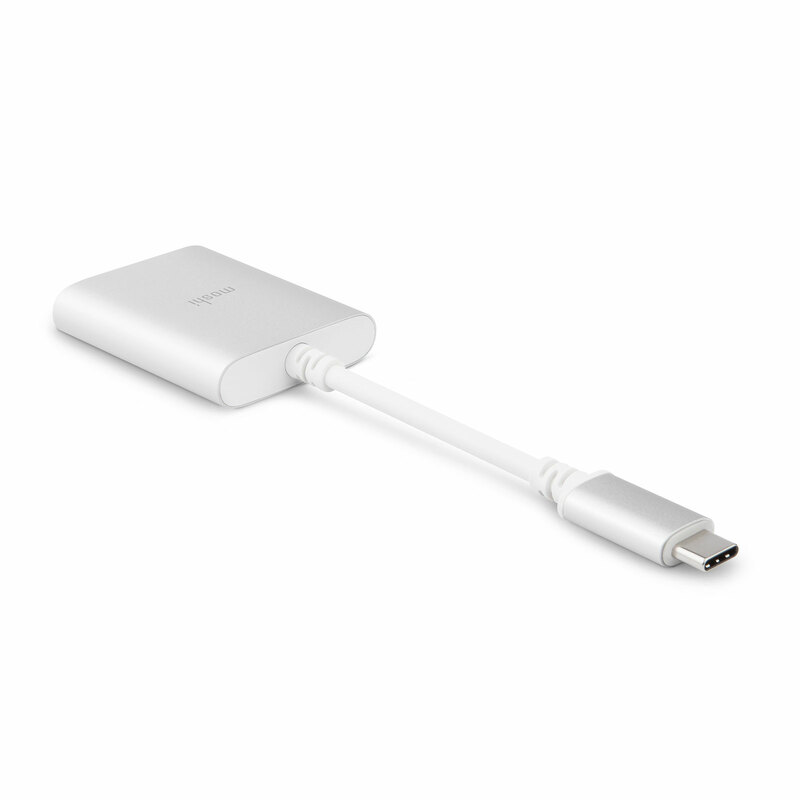 USB-C fast-charging port (Supports PD 3.0). High-resolution audio (24-bit/96 kHz) with Class G amplifier.